‘Lagos Cougars’ from the staple of Emem Isong’s Royal Arts Academy is pretty much as obvious as it’s title suggests. It trails the dramatic adventures of 3 ladies of a certain age who refuse to give up the action. There is the veteran cougar Aret (Uche Jombo Rodriguez) a bank manager who lives for the chase, going through all the willing young boys the city has to offer. There is the reluctant cougar Elsie, a divorcee (Monalisa Chinda) who goes against type and tries out a one night stand with a boy young enough to be friends with her son. She realises later, much to her shame that he is indeed friends with her son. Not that it stops her from reaching continuously into the cookie jar. Then there is the love struck cougar Joke, (Daniella Okeke) a fashion designer type who swears she is in it only for love. The three ladies are quite friendly and are as close as ladies of their age can get and so meet up from time to time to trade their cougar stories. It could be argued by true believers of the film that ‘Lagos Cougars’ is a document of female empowerment, a message to ladies to live their best lives and satisfy their needs even if such needs are of a sexual nature and remain frowned upon by an uptight society. Who cares right? And who says women cannot get away with what the men have been doing. But one has to be a true believer to buy this argument. And one would expect the film to be of a certain quality before assigning high minded aspirations to it. This one is actually another one of the Royal Arts less successful efforts. A by the numbers screenplay with boring cut and paste editing does not inspire any hope early on that this one will get better. It does not and after the premise has been set up, viewers with other pressing matters can take a leave trusting in their judgement that they have arrived at the right denoument long before the film’s halfway mark. Monalisa Chinda appears to be on a cougar roll having being cast opposite way younger men in previous efforts ‘Weekend getaway’ and ‘Keeping my man’. While these castings choices suggest a daring streak, they also speak to a very obvious problem; the lack of male movie stars to keep up with the leading ladies intent on stretching their sell by date. Leading ladies now resort to playing characters 20 years younger or playing cougars to bypass the shortage that happens whenever Ramsey Nouah or Joseph Benjamin isn’t available. This can only go on for a while. The chemistry between Chinda and her much younger lover (Benjamin Touitou) is non-existent, their romance strange, his acting also falls short. Speaking of, Uche Jombo hasn’t read a screenplay she could not scream her way through and does so gleefuly here. Daniella Okeke (despite the cleavage fest) might be many things but she is not an actress. Her lover Bobby Micheals is unecessarily overwrought and seems to be in a different movie entirely. Alex Ekubo and Shawn Faqua (the dude who plays Monalisa’s son) are the least of the film’s culprits and they bring in some watchable factor. Desmond’s Elliot’s direction is inconsistent; breezy at times, tacky at others and the script by Bola Aduwo and Ms Isong is the biggest problem here. It is unremarkable, riddled with Nollywood-style cliches and bad dialogue. When a character tells her friend -with all the subtlety of a moving train- something about getting her engine serviced or else it will knock, you just want to scream enough. No paying viewer deserves to sit through such inane dialogue. The music is good and locations pretty enough to keep some interest. The fight scene between two characters was also carried out with some competence. There were moments of comedy but most of it was unintentional, caused by the ludicrous display on screen. 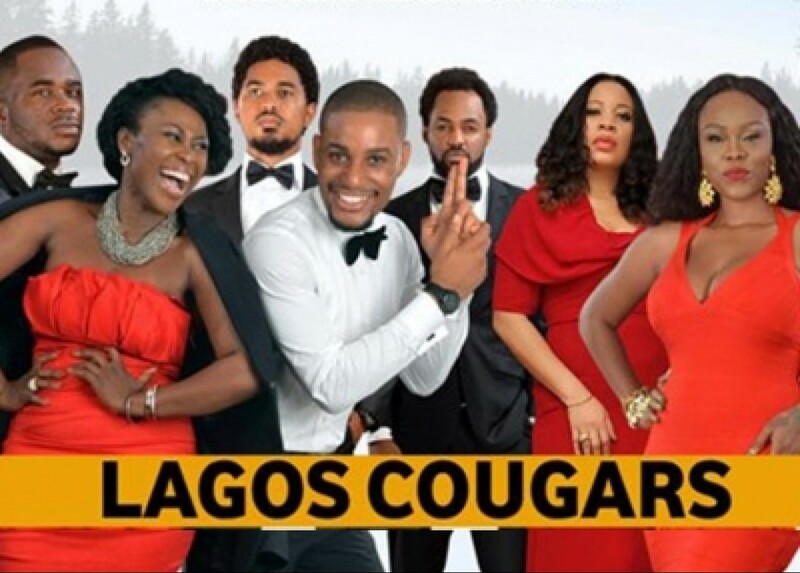 The truth remains that ‘Lagos Cougars’ has no business playing at theatres and it’s audience skewers direct to DVD. The producers may have just missed their market. FOR NIGRERIA CUSTOMS SERVICE RECRUITMENT(NCS)PLEASE CONTACT COMMANDANT SALIU S.S ON 08139160613 FOR MORE INFORMATION.